In this fascinating DVD, astrologer Rick Levine offers audiences a unique and comprehensive perspective on the sacred science and art of Astrology. Handed down to us from our ancient ancestors, this mystical science of the stars and planets was designed to provide us with a greater understanding of both the physical and spiritual nature of our lives. Using the outer planets' rhythms as his foundation, Levine unveils and clearly demonstrates the impact of cosmic cycles—not only on our personal lives but also on significant historical events. Assisted by many computer animations that bring these teachings to life, Rick Levine shows us an astonishing array of facts that reveal the inner essence of Astrology and the flow of time. Through his insightful analysis we see that time itself can be mapped and understood through the complete understanding of planetary movement and the cycles of history. In a clear and straightforward manner, he unfolds a 21st century vision of this ancient science and reveals its relationship to the bewildering world of Quantum Physics, and its relevance to these fast moving and rapidly changing times. "Prepare to gain a deeper understanding of the physical and spiritual nature of human existence as longtime astrologer Rick Levine demonstrates the profound effect of the cosmic cycles on both a personal and more universal level. With the assistance of computer animation to better illustrate his points, host Levine offers both insight into the flow of time and how planetary movement can be utilized in the mapping of time itself. 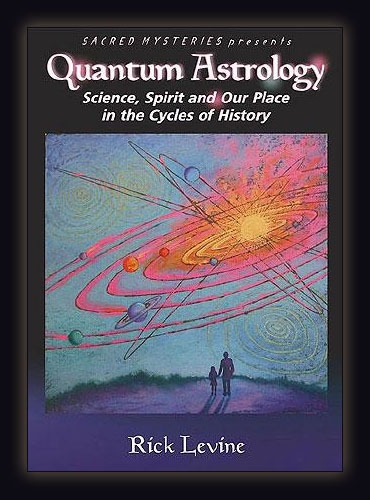 A study in the relation between astrology and quantum physics illustrates the new direction in which the ancient practice of astrology is headed, and offers a compelling look at the role that it plays in a high energy-era of constant movement and change." "Astonishing..insightful analysis. Reveals the inner essence of Astrology." 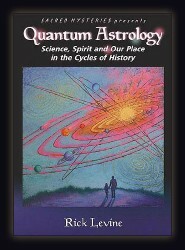 "Revealing facts and history through computer animation, this DVD provides a contemporary vision of astrology and connects it to quantum physics."